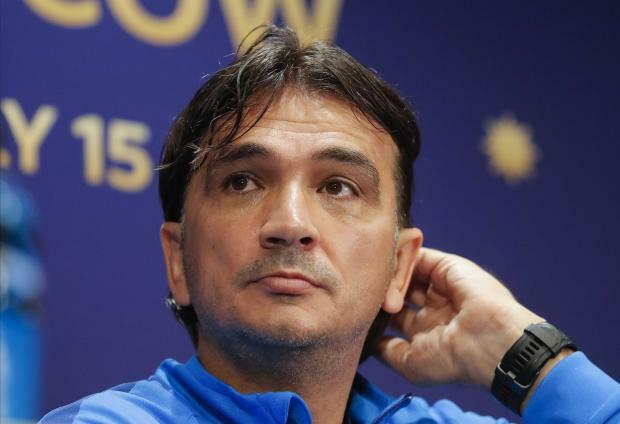 Croatia have no major injury concerns going into Sunday's World Cup final despite having played three 120-minute matches and are looking forward to a seismic event for the small Balkan nation, coach Zlatko Dalic said on Saturday. Dalic said that despite five players missing Friday's training all his group were fit. "Tomorrow is the World Cup final. The players know what that means. One thing that makes me happy is that all my players tell me whether they are not 100 per cent," Dalic told reporters. "If they will be unable to give their all during the match I expect them to tell us." Croatia played a total of 90 minutes longer than France in their three knockout matches and have also had one fewer rest day than their opponents ahead of the final at Moscow's Luzhniki Stadium. "We did not insist on practice sessions. We have nothing to practise. We need relaxation and rest. We have some minor injuries but I hope we will overcome those today and all my players will be ready to play," the 51-year-old said. This is Croatia's first final in a major tournament and Dalic said that while he was not getting the full picture of the celebrations back home, he knew that for his players, many of whom have won the biggest prizes in club football, this was the greatest match of their career. "Win or lose tomorrow there will be a seismic event (in Croatia). This gives us strength and motivation. "There can be no better moment for a player or a coach than tomorrow. Whatever happens, we will be happy and proud because we deserved it." The 1998 World Cup semi-final defeat to France and Croatia's failure to beat the French in all of their five previous encounters also meant nothing to Dalic and his players. "I do not give much thought to statistics and tradition and to head-to-head," Dalic said. Traditions are there to be demolished. "Tomorrow is the final. We don't care who is on the other side of the pitch. We are here to enjoy the final and give our best."